This week's recipe makes a wonderful base for any soup but is also delicious when sipped from a mug. 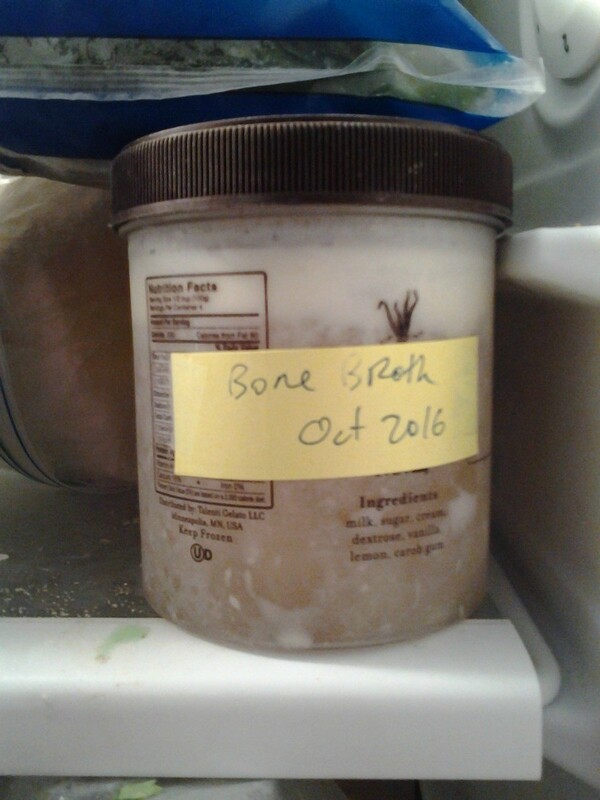 Bone broth is easy to make at home with all sorts of leftover bones from chicken, beef, pork or lamb. Just save them up in your freezer until you have enough to make a big pot. 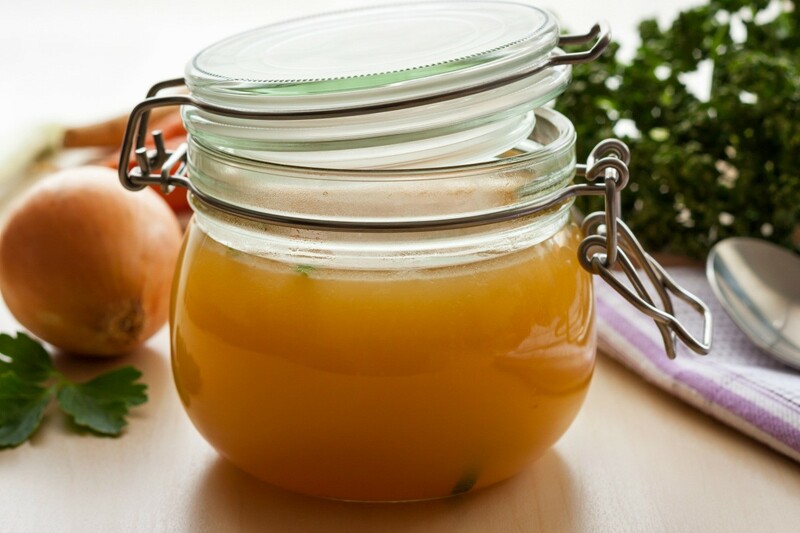 Bone broth is incredibly healthy, and can be made at home with a slow cooker or on the stove. The collagen and calcium available in bones, as well as the contents of the marrow, provide many wonderful health benefits to everyone. When made right, this broth provides a wonderful flavor to all stews.